Affectionately known as Manmi to the children who reside at RENMEN Foundation, as well as the neighborhood families where it is located at, Florence Thybulle is a retired laboratory technician who used her savings and inheritance to turn her family home into the RENMEN Foundation. She launched the project in April 1992 and has made it her life’s work. In addition to the children currently residing at RENMEN and the many externs that have aged out and commenced their own lives, Florence has three biological children and two grandchildren who reside in the US. Florence studied nursing at Brooklyn College graduating in 1978. She worked in New York as a laboratory technician before returning to her native country. Upon her return, Florence worked for the Peace Corps for several years. 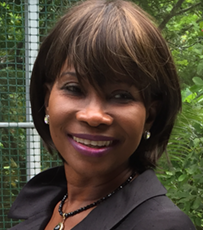 For the past 30 years, Yanick Goutier has been involved in early childcare and education as a teacher, childcare center director, trainer, director and most recently, vice president of programs for one of the largest social services organizations in Florida. 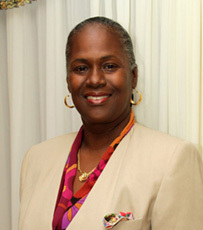 Born in Port-au-Prince, Haiti she received her Bachelor’s Degree in 1981 in civil engineering. Yanick immigrated to the United States in 1984. Additionally, she has worked as an adjunct professor at Broward College for over 12 years. For the past eight years, Yanick has served on the board of the RENMEN Foundation. Her goal is to make a difference in the lives of the children who reside there and provide them with a brighter tomorrow. 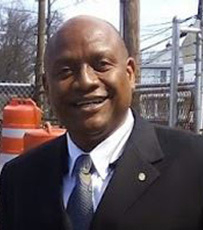 Frank Flavien is a professional financial specialist and bookkeeper and is currently a Senior Agency Manager at MDA Insurance and Financial Services. Previously, he was the office manager at Sunbelt Waste Equipment. Frank received his degree in accounting from INAGHEI in Haiti and has passed the certified bookkeeping exam with AICPB. 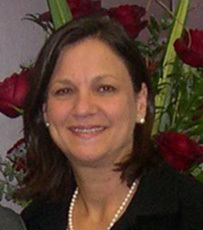 MaryAnne is a practicing attorney and a Florida Supreme Court Certified Mediator in County, Civil and Family. She also served as a General Magistrate/Hearing Officer for the Eleventh Judicial Circuit’s Family/Child Support Enforcement Division for 7 years. She serves on the Board of Directors for Florida Foster Care Review and Casa Valentina, Inc., not for profit organizations that assist youth in the dependency system in Miami Dade County, Florida. MaryAnne graduated from Florida International University with a B.S. degree in Education in 1977, received her Juris Doctor from St. Thomas University in 1988 and became a member of the Florida Bar that same year. MaryAnne has been involved with the RENMEN Foundation since February 2012 and continues to visit and support the orphanage.